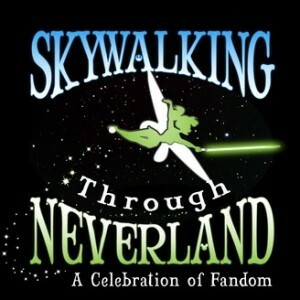 Photos for Disney, Indiana Episode 206 – Now, Bring Us Those Horizons! 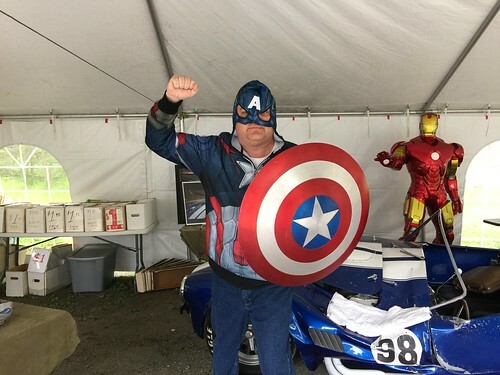 These pictures were taken at the Captain America’s 75th Anniversary Celebration at the Hall of Super Heroes Museum in Elkhart, Indiana on the 14th of May. Scott with the screen used shield from Captain America: The First Avenger. Taken at the Captain America’s 75th Anniversary Celebration at the Hall of Super Heroes Museum in Elkhart, Indiana 05/14/2016. 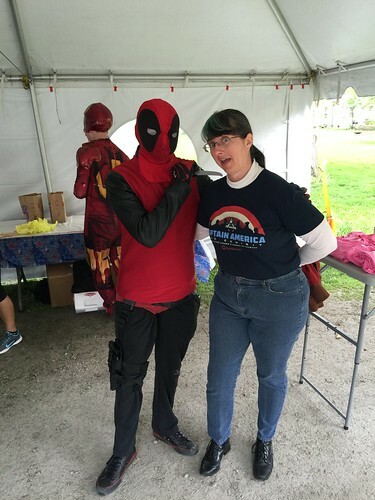 Tracey meets Deadpool at the Captain America’s 75th Anniversary Celebration at the Hall of Super Heroes Museum in Elkhart, Indiana 05/14/2016. 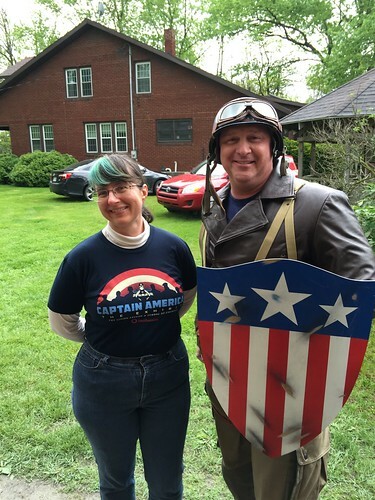 Tracey with Captain America at the Captain America’s 75th Anniversary Celebration at the Hall of Super Heroes Museum in Elkhart, Indiana 05/14/2016. 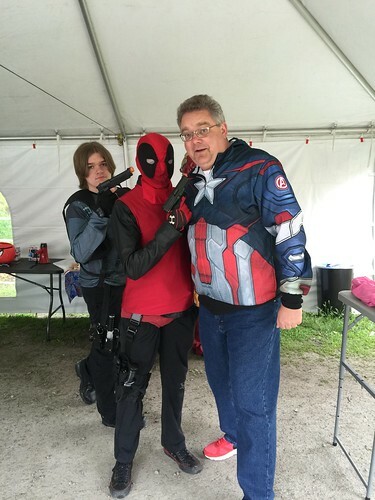 Scott meets Deadpool (and The Winter Solider) at the Captain America’s 75th Anniversary Celebration at the Hall of Super Heroes Museum in Elkhart, Indiana 05/14/2016. 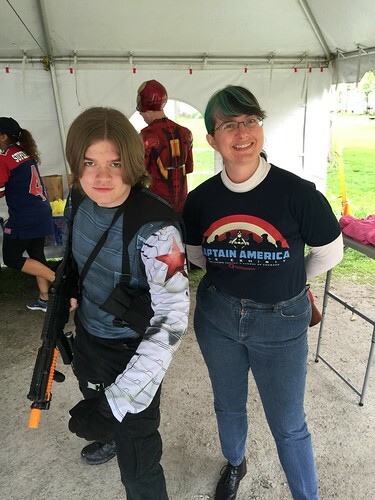 Tracey meets the Winter Soldier at the Captain America’s 75th Anniversary Celebration at the Hall of Super Heroes Museum in Elkhart, Indiana 05/14/2016. 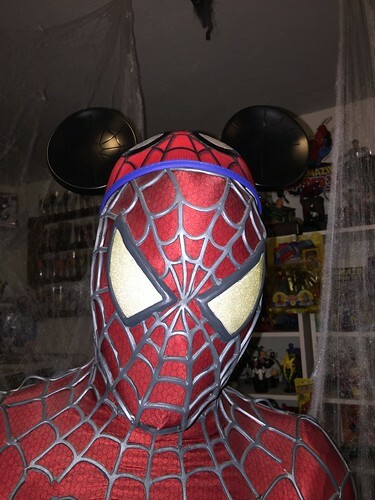 Spider-Man with Mickey Ears Taken at the Captain America’s 75th Anniversary Celebration at the Hall of Super Heroes Museum in Elkhart, Indiana 05/14/2016. 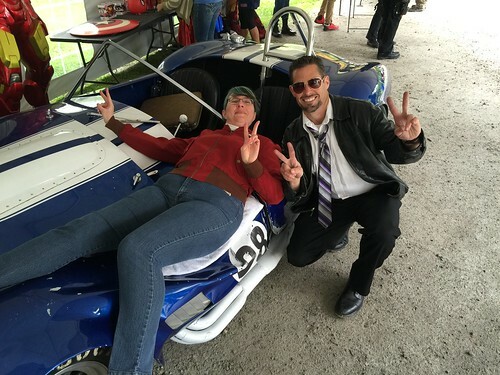 Tracey on the the 65 Iron Man Shelby Cobra from the first Iron Man film (the one that Tony crash lands upon!) Taken at the Captain America’s 75th Anniversary Celebration at the Hall of Super Heroes Museum in Elkhart, Indiana 05/14/2016. 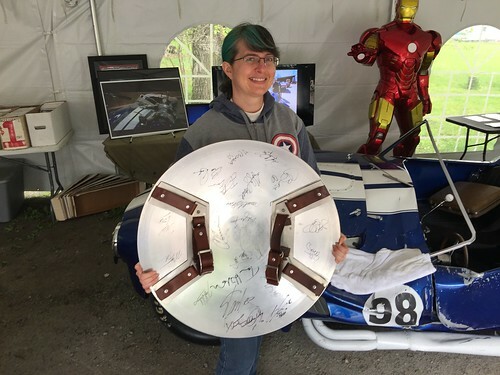 Tracey with the Captain America Shield from Captain America: The First Avenger displaying the autographs. These autographs include the cast of the 2014 sequel “Captain America: The Winter Soldier” and the television series “Agents of S.H.I.E.L.D.” Taken at the Captain America’s 75th Anniversary Celebration at the Hall of Super Heroes Museum in Elkhart, Indiana 05/14/2016. 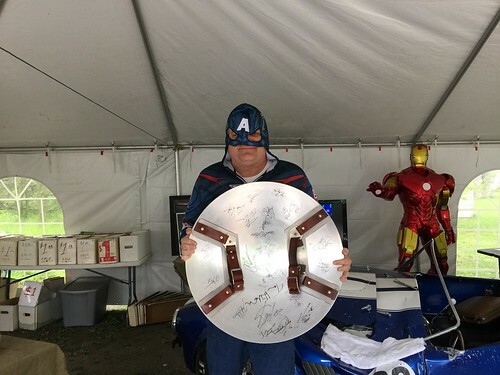 Scott with the Captain America Shield from Captain America: The First Avenger displaying the autographs. These autographs include the cast of the 2014 sequel “Captain America: The Winter Soldier” and the television series “Agents of S.H.I.E.L.D.” Taken at the Captain America’s 75th Anniversary Celebration at the Hall of Super Heroes Museum in Elkhart, Indiana 05/14/2016. 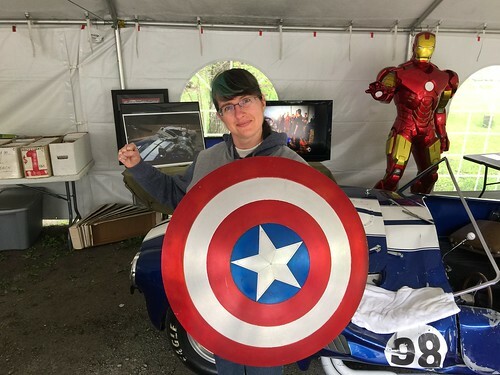 Tracey with the Captain America Shield from Captain America: The First Avenger. Taken at the Captain America’s 75th Anniversary Celebration at the Hall of Super Heroes Museum in Elkhart, Indiana 05/14/2016. 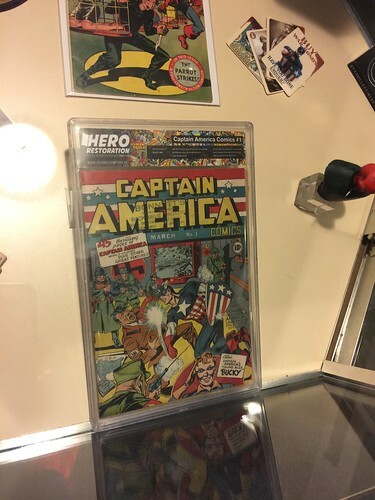 The restored Captain America #1 from 1941 Taken at the Captain America’s 75th Anniversary Celebration at the Hall of Super Heroes Museum in Elkhart, Indiana 05/14/2016. Captain America artwork from Allen Bellman. He drew Captain America, The Human Torch, Sub-Mariner and other classic heroes for Timely Comics during WW II alongside Stan Lee. Allen is the last surviving artist that drew Captain America during WW II. 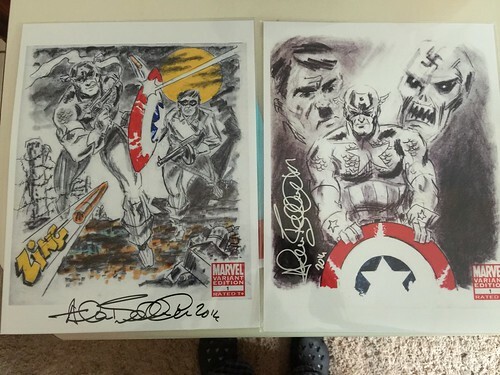 We got these from Allen himself at the Captain America’s 75th Anniversary Celebration at the Hall of Super Heroes Museum in Elkhart, Indiana 05/14/2016.